Copyright 2013 Rainmaker's Challenge Training and Coaching. and Continuing With A Unique Path To Ownership Of Their Own Office! 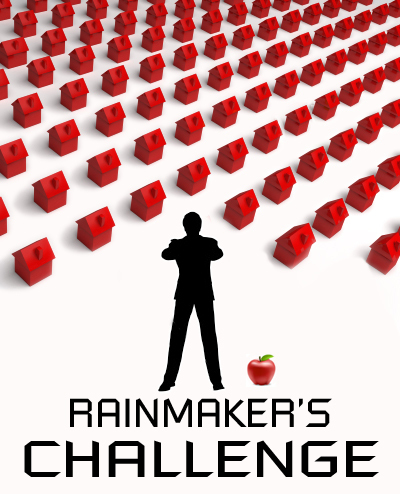 Rainmaker's Challenge Training and Coaching is offered by invitation only to agents matching the profile of someone currently on track to succeed in real estate sales, who possesses the traits of a rising star, and aspires to someday own their own sucessful real estate brokerage company.